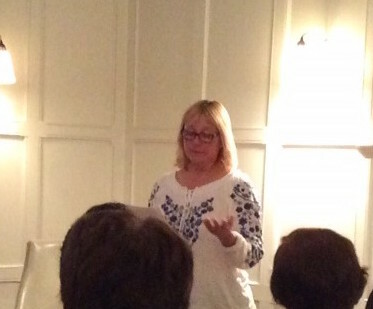 What a wonderful writers’ open mic evening at The Globe Hotel in Warwick last night! Organised and compered by writer Jenny Heap the event hosted creative writers, poets, creative non-fiction (fascinating) short story authors – all sponsored by Shakespeare 400. Thank you to all the supporters and participants – such a positive way for authors to get their work out there and make connections. If you haven’t yet found the courage to stand up and read your work out-loud (I know! But when you’ve done it once, the next 1000 times is easy) I would heartily suggest you do. The short story I read is from my collection of short stories that I shall be releasing into the wild in October, and it makes such a difference to hear your words rather than read them all the time. Even before my slot was due I was editing the story as I realised the bit that sounded so good earlier in the day really didn’t, and needed a swift sorting out with an old pencil found at the bottom of my bag. Organised, that’s me. The next author event I’m lucky enough to be appearing at is the Evesham Festival of Words 1st-3rd of July. At first, these open mic sessions may seem a little scary but are really just one step up from a writer’s group, except some of the audience will buy your book if you have some with you to sell. Everyone is there with the same mind-set: to support and listen to other writers’ work. One such person is author Viven Heim, who held the audience rapt as she read from her book It’s Just Not Good Enough. At the same time as I was doing my bit at the event, a friend of mine, author and blogger Allison Symes was very kindly uploading an interview with me we did a while ago. We met at the Winchester Writers’ Festival last year and she is one of the many people who is helping me get my first ebook off the ground by being a beta reader and grammar tyrant for me. So you see, there is so much to be gained from these open mic sessions – but most of all I would say self-confidence, which every author needs in abundance. If you don’t know of an om session near you – start your own. There’ll always be a friendly landlord willing to find you a corner; or maybe a library will be able to offer you space, or a local cafe. Open Mic Sessions? My New Best Friend!